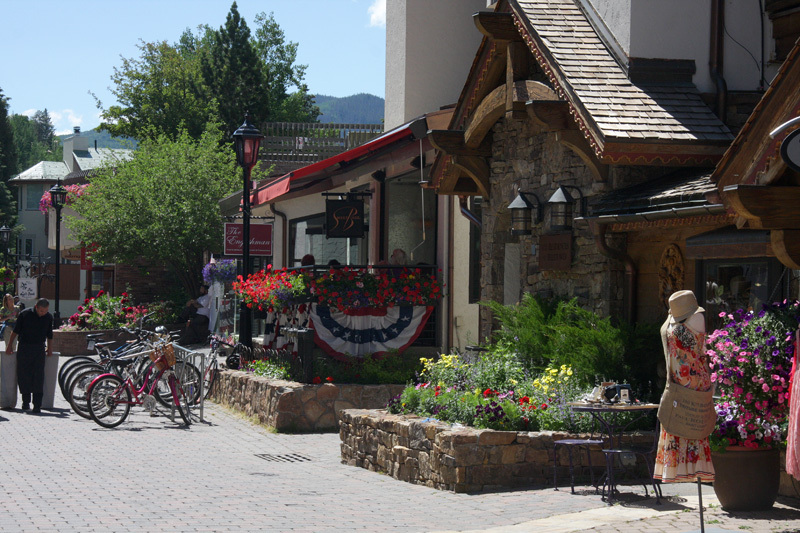 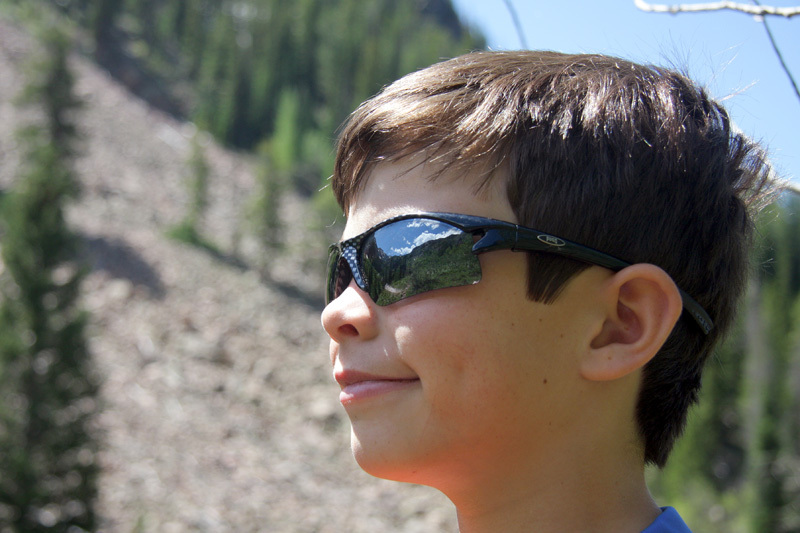 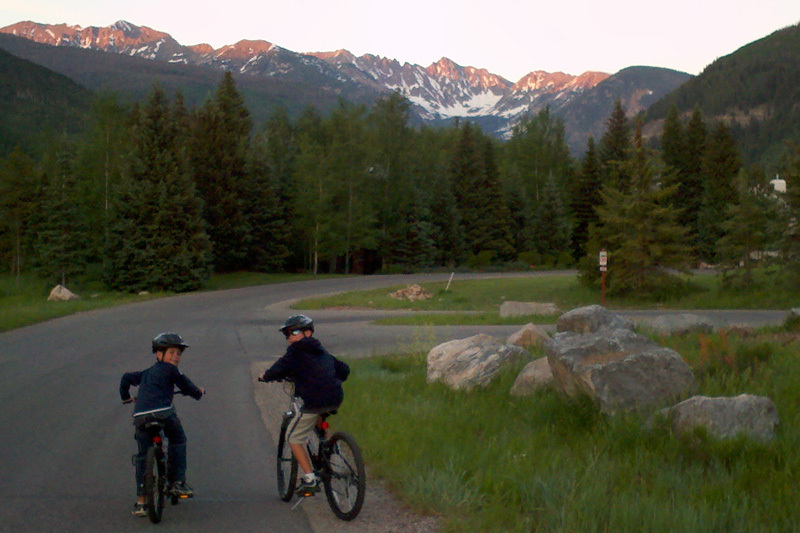 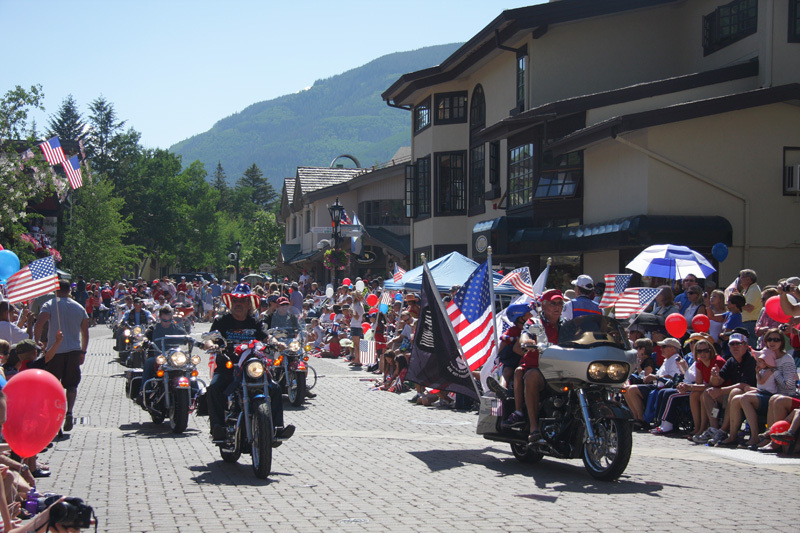 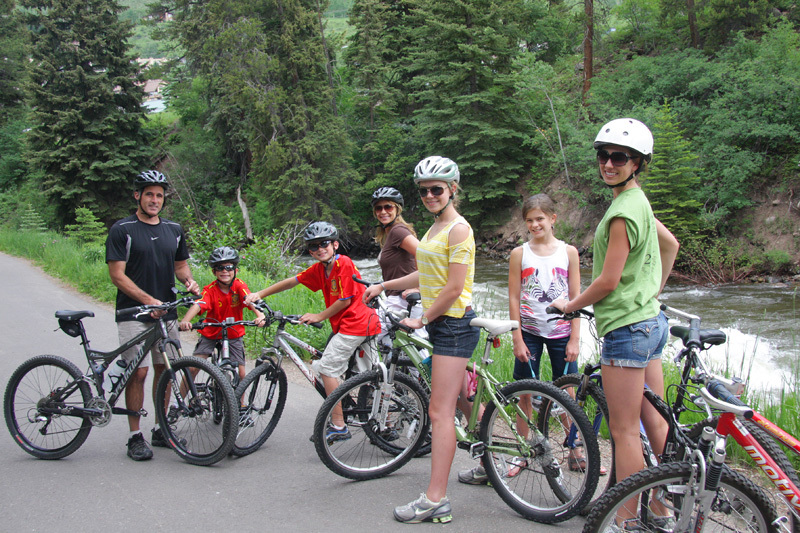 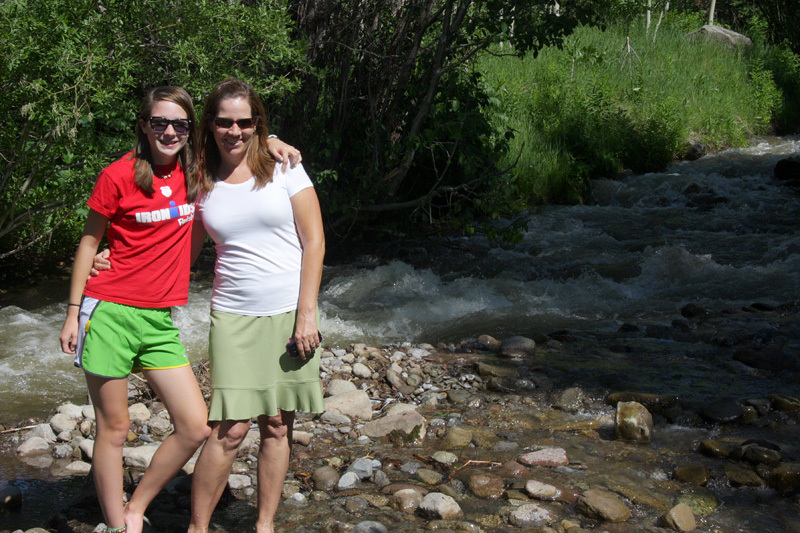 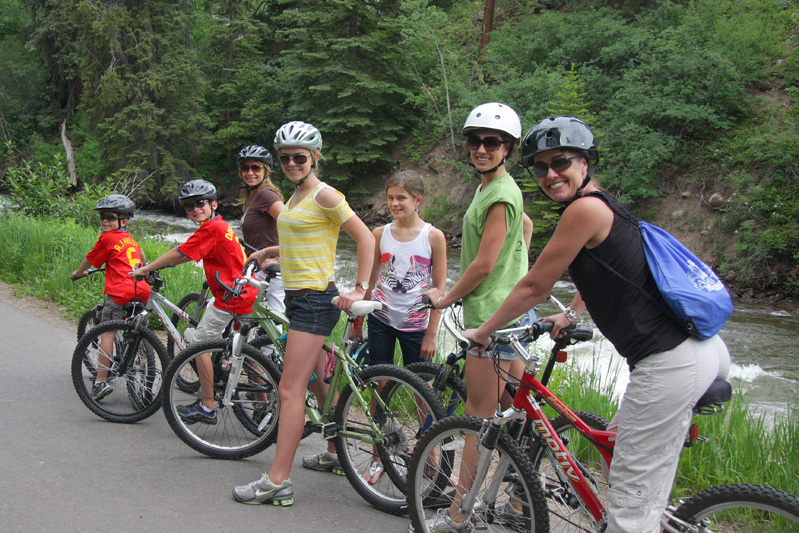 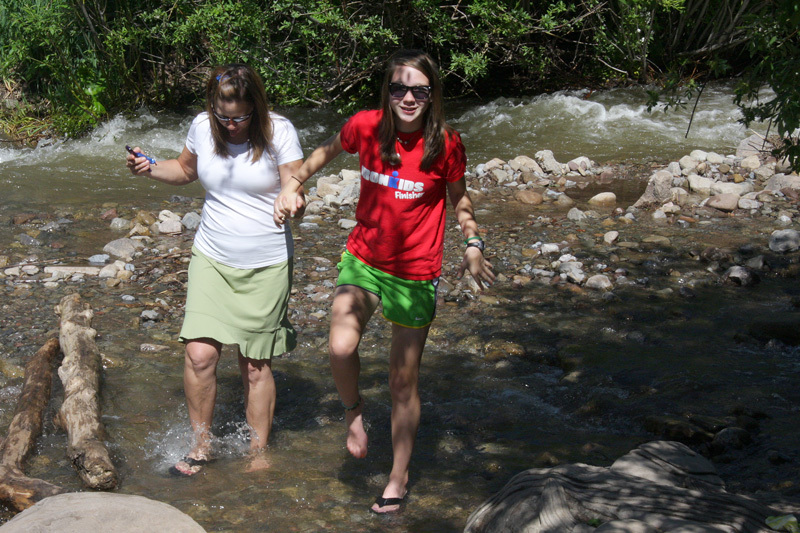 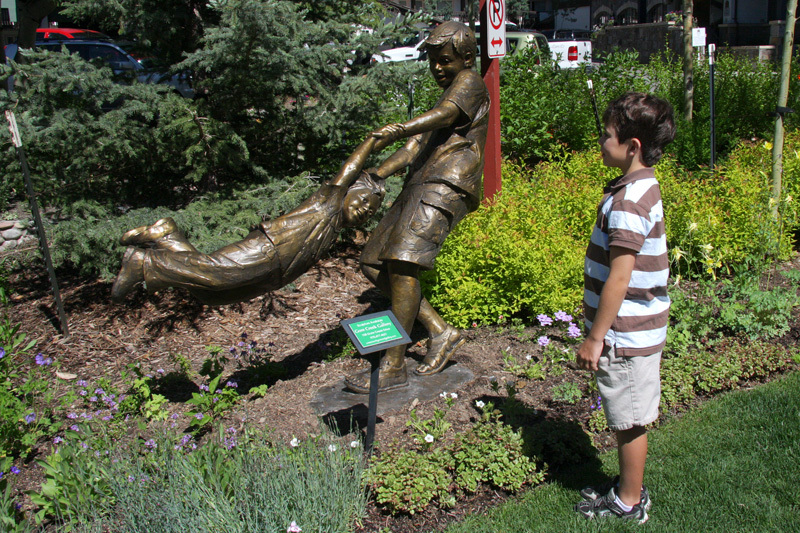 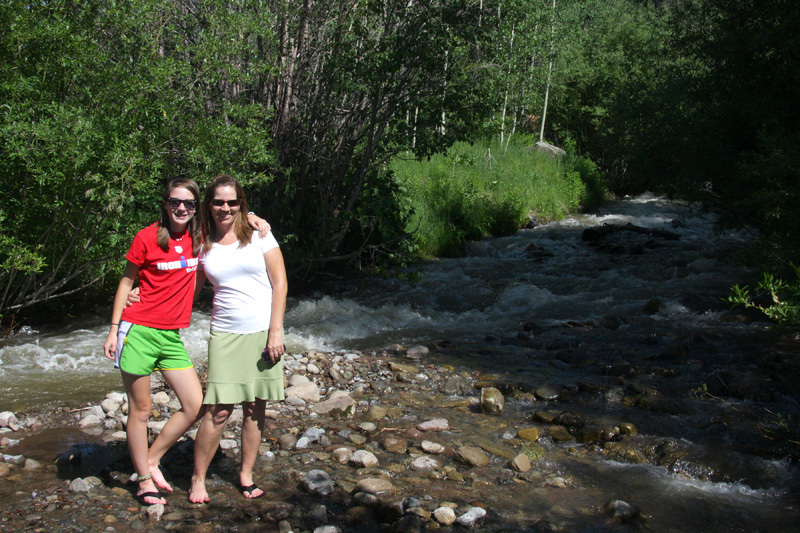 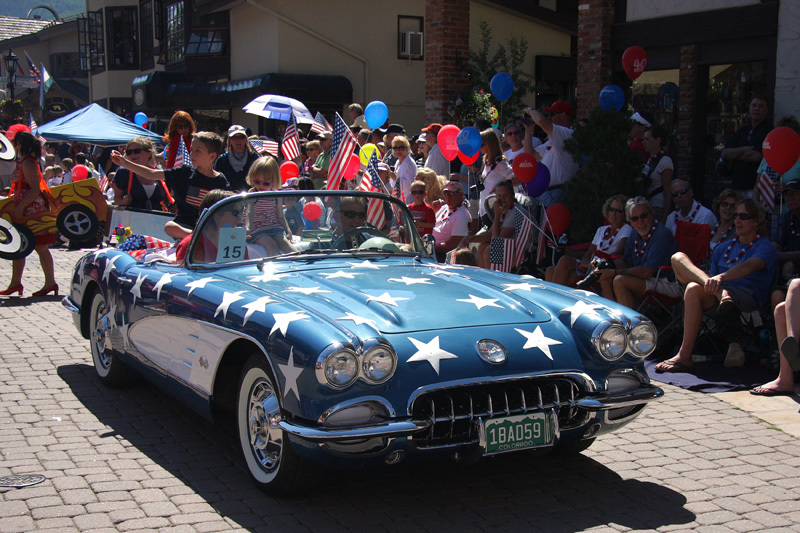 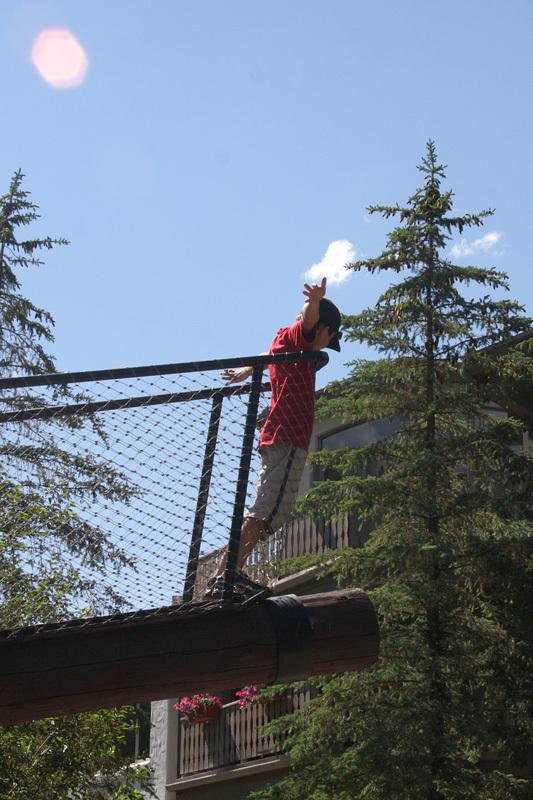 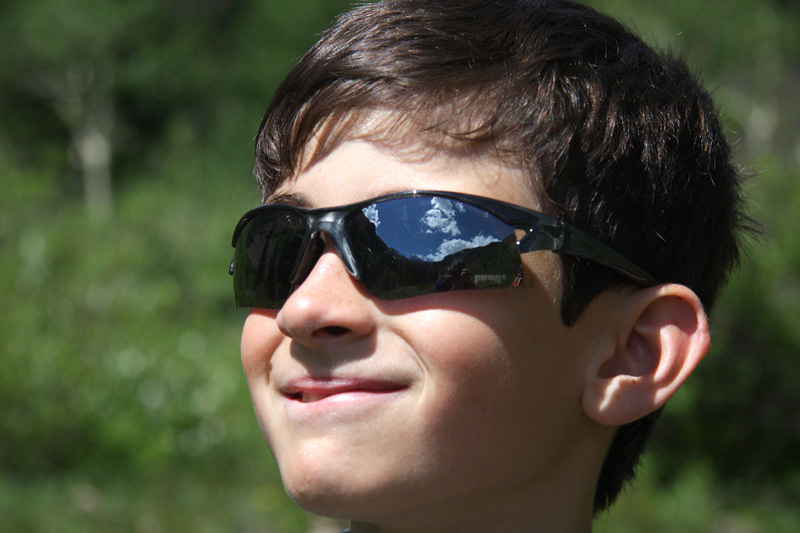 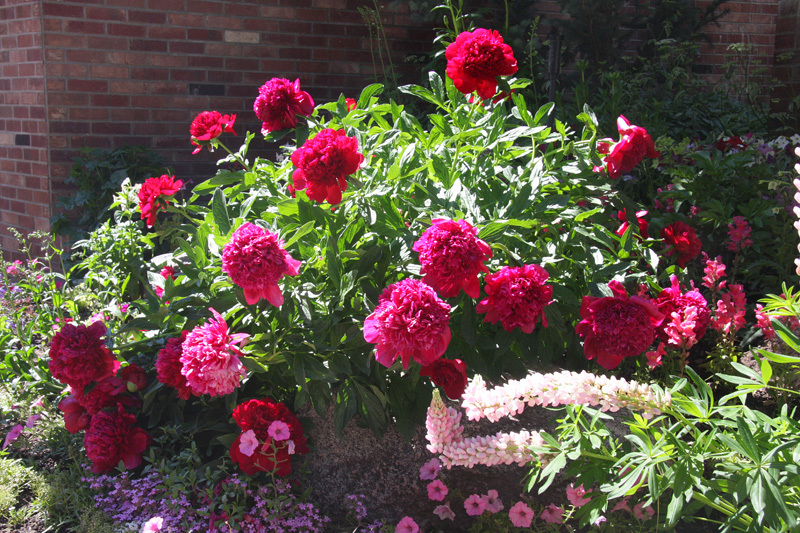 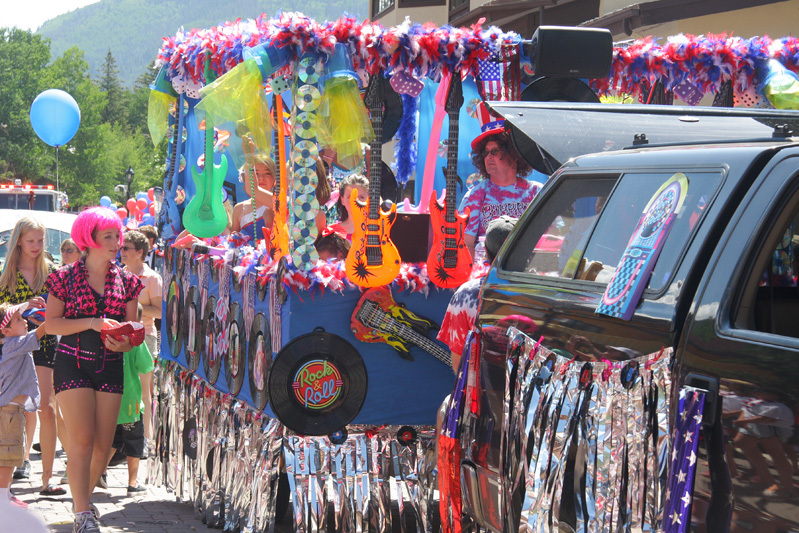 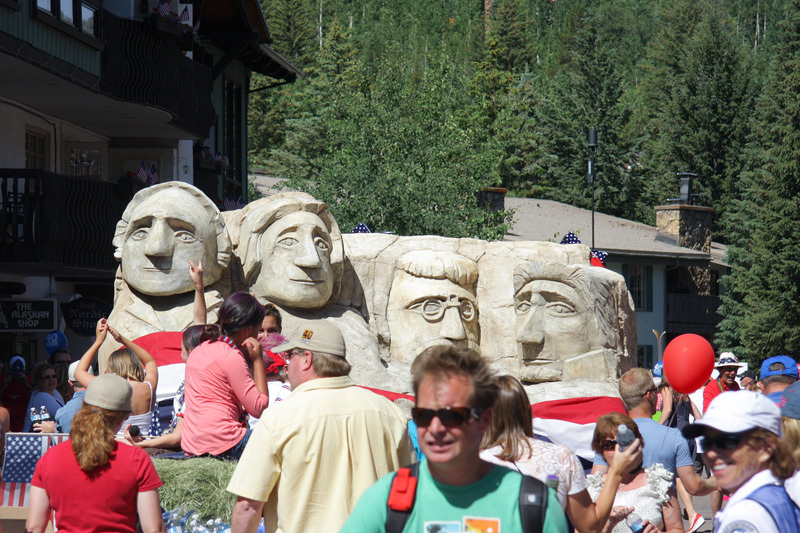 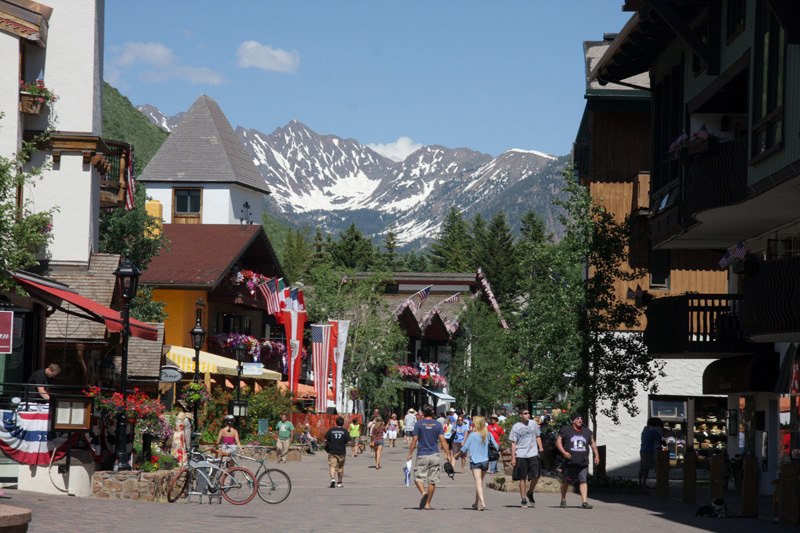 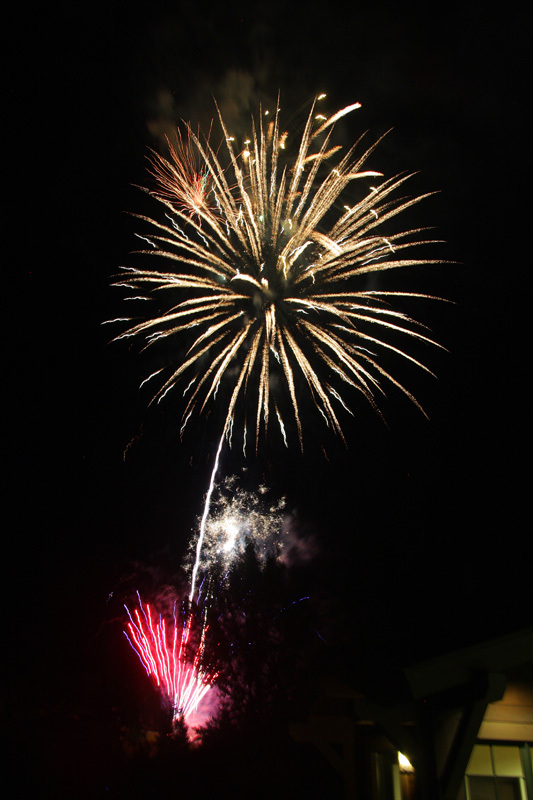 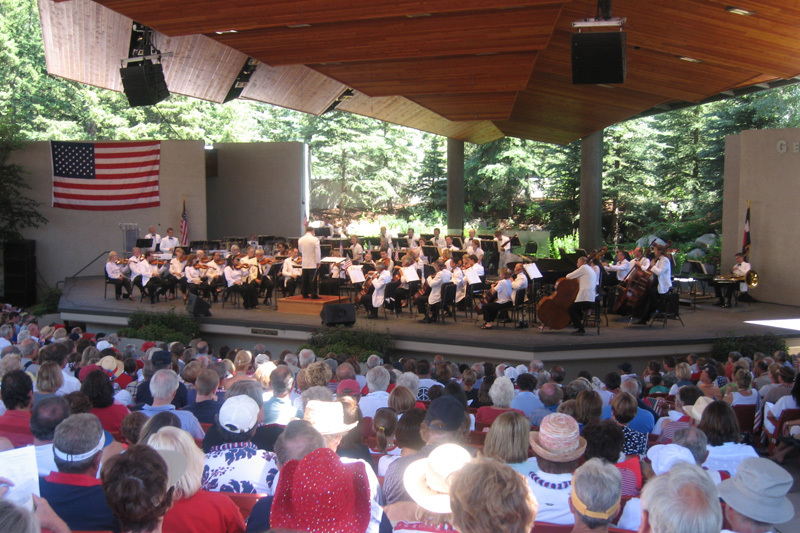 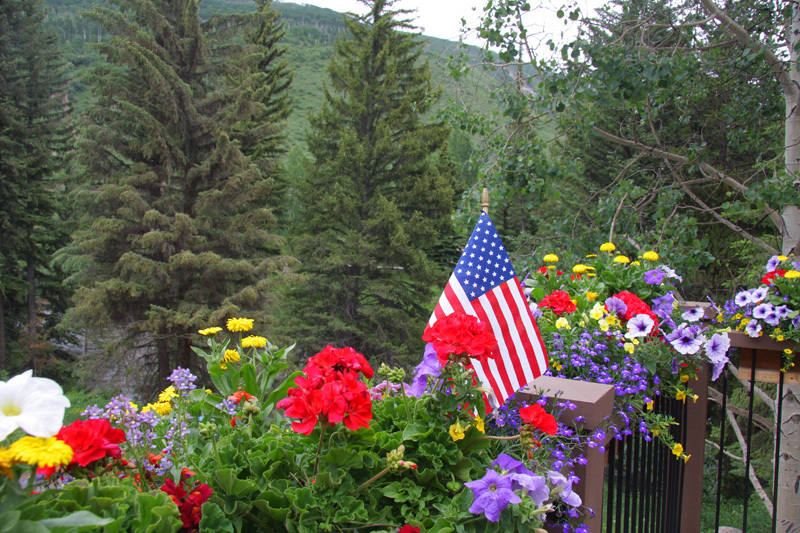 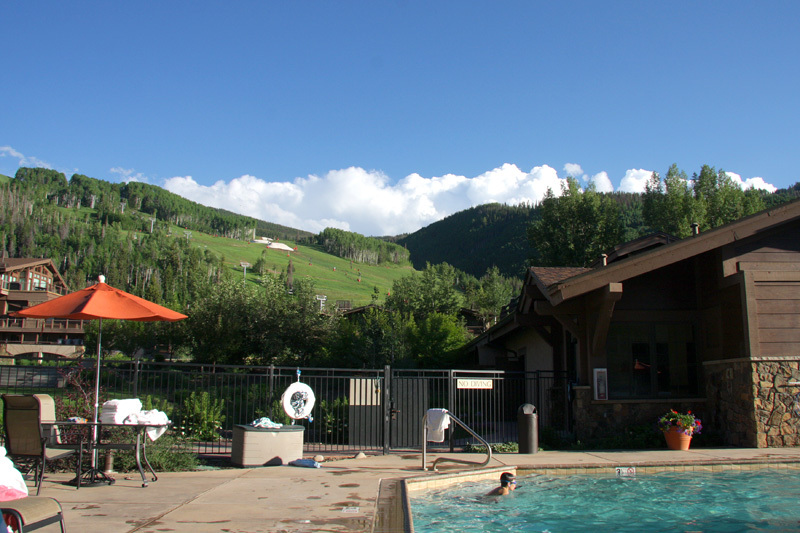 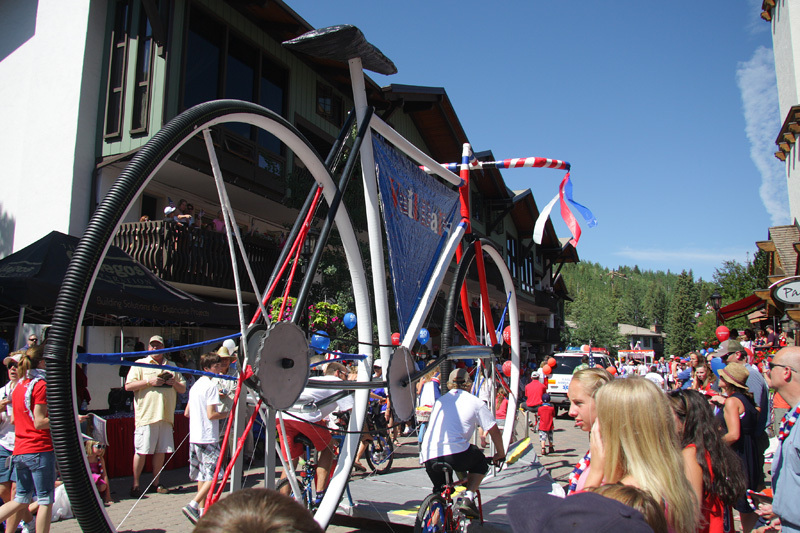 Another Fourth of July weekend in Vail, Colorado. 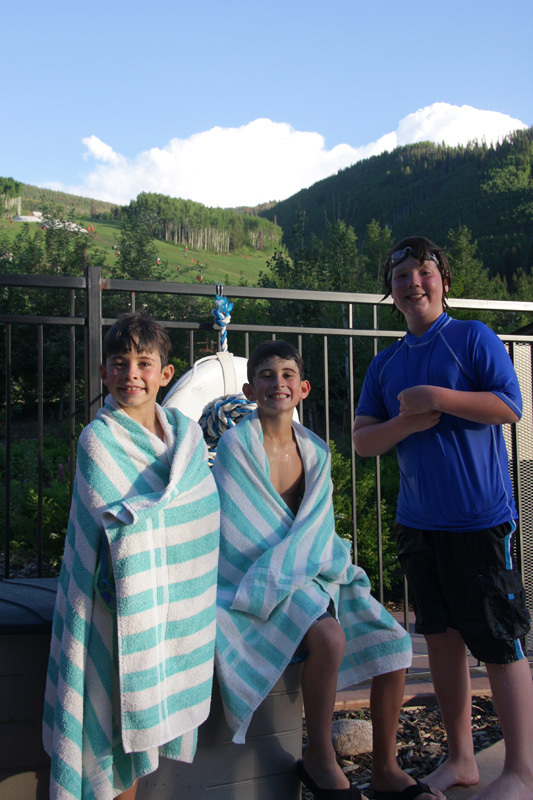 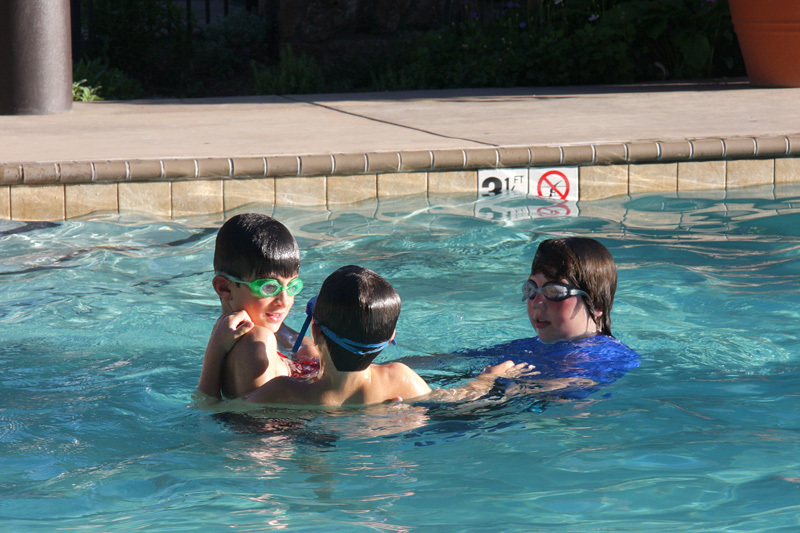 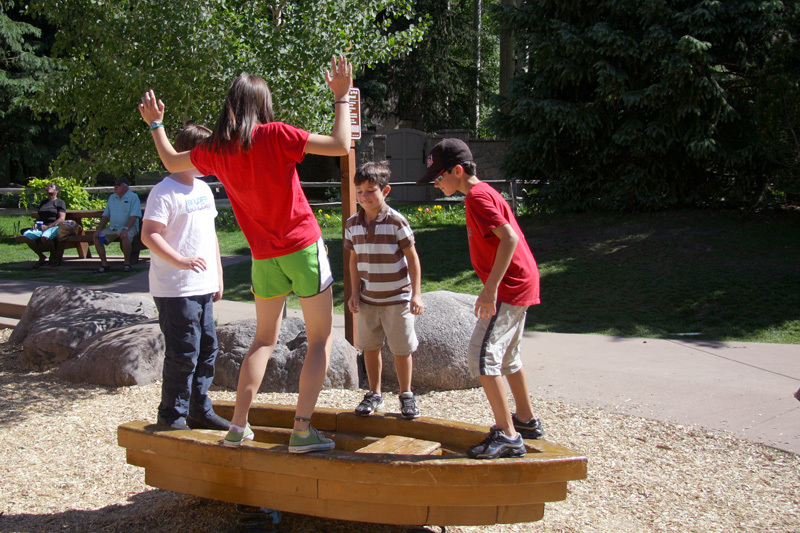 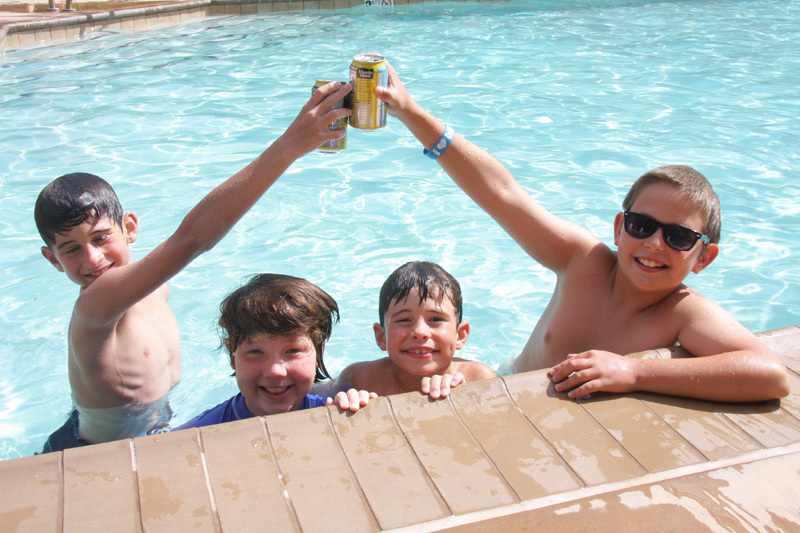 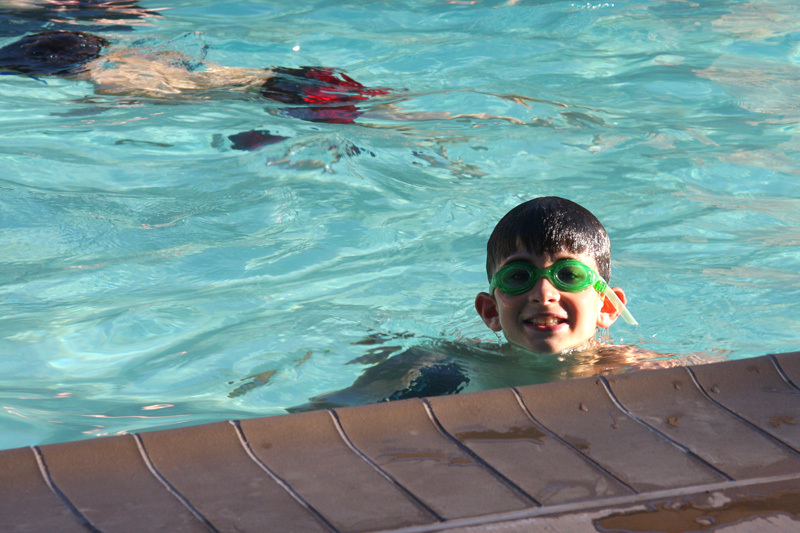 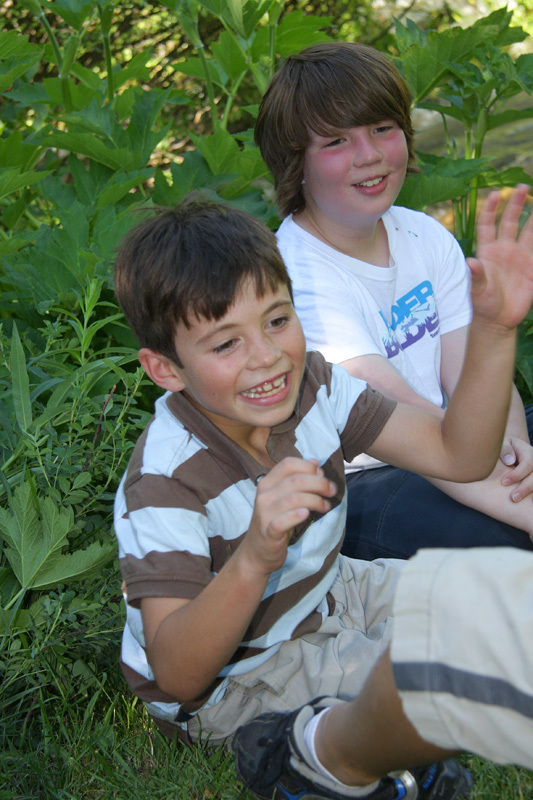 This year we were joined at Vail Manor Lodge by the Metzlers, the Shurnas and the Balsleys. 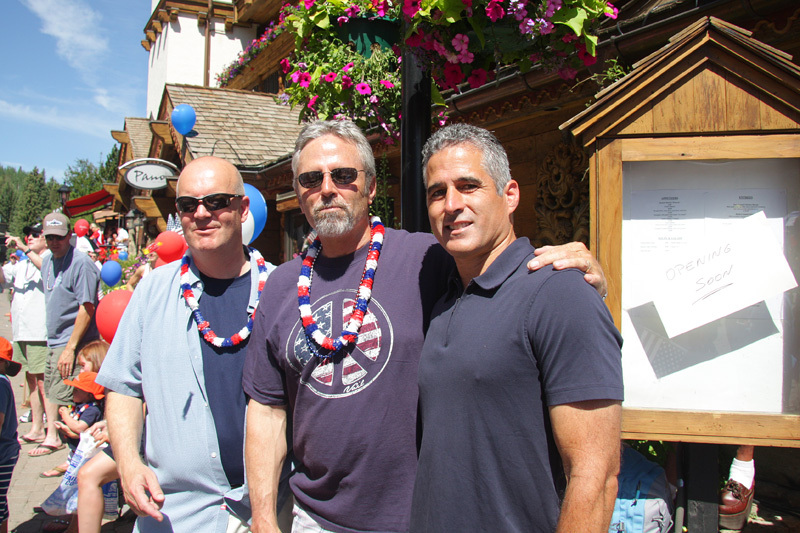 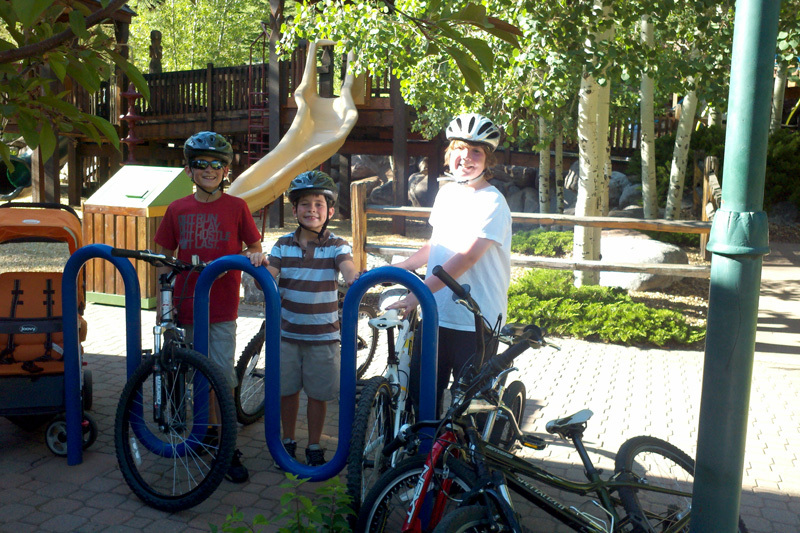 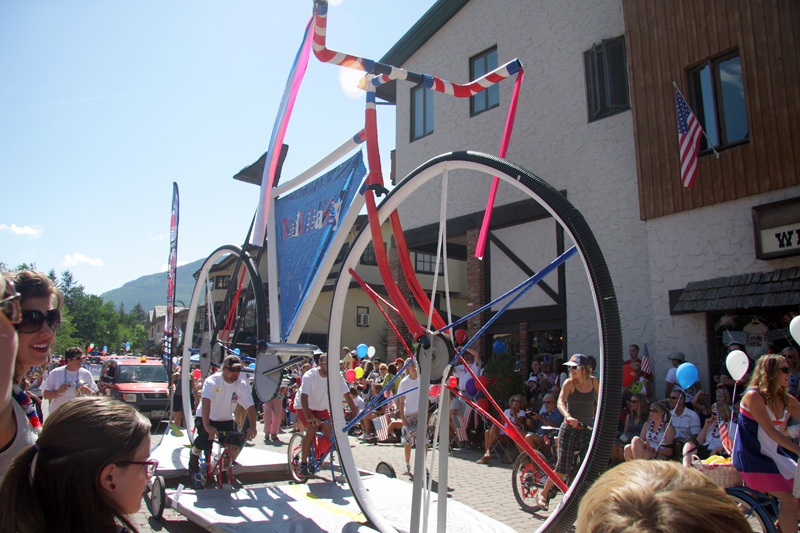 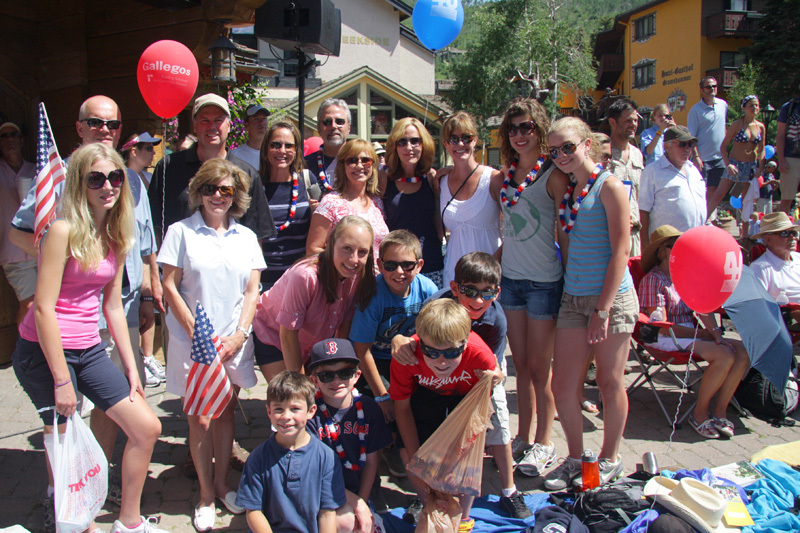 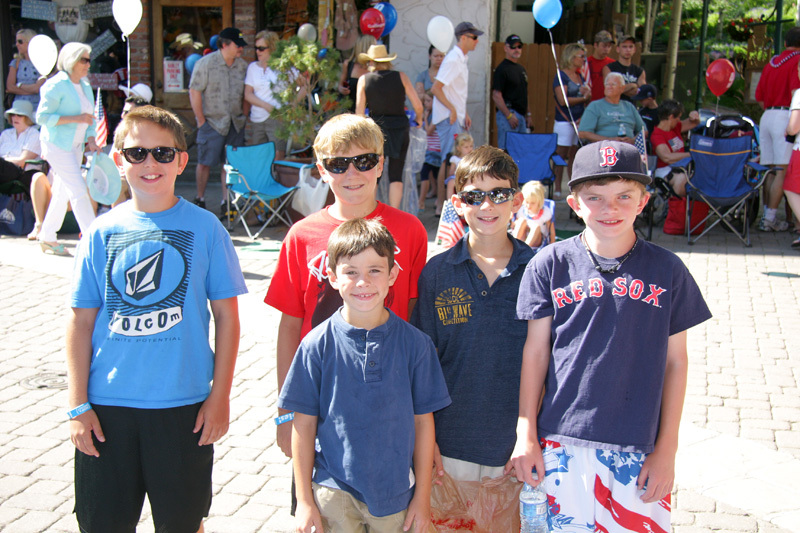 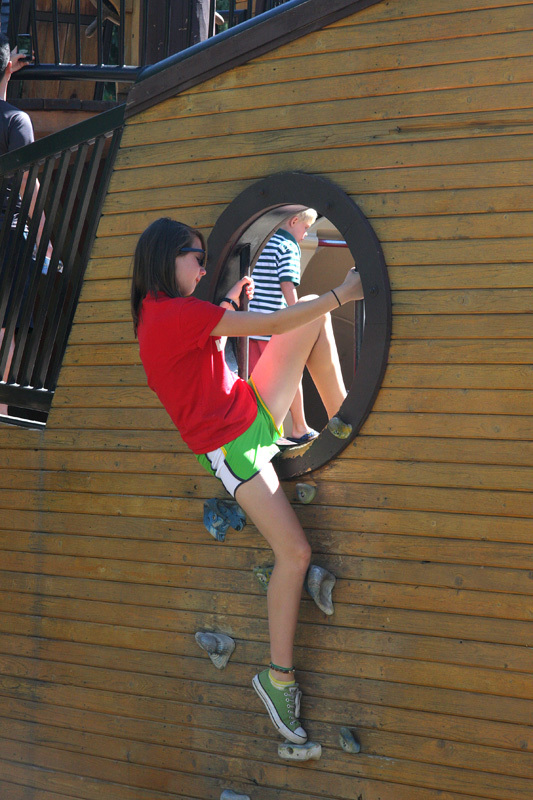 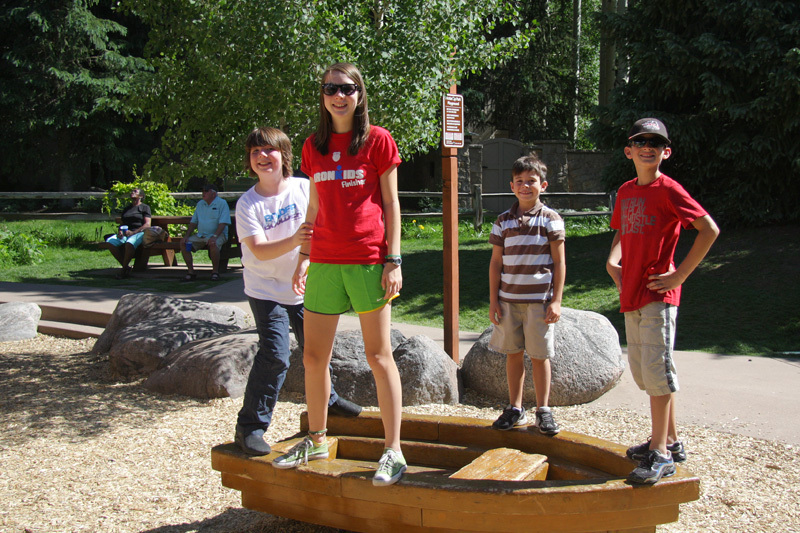 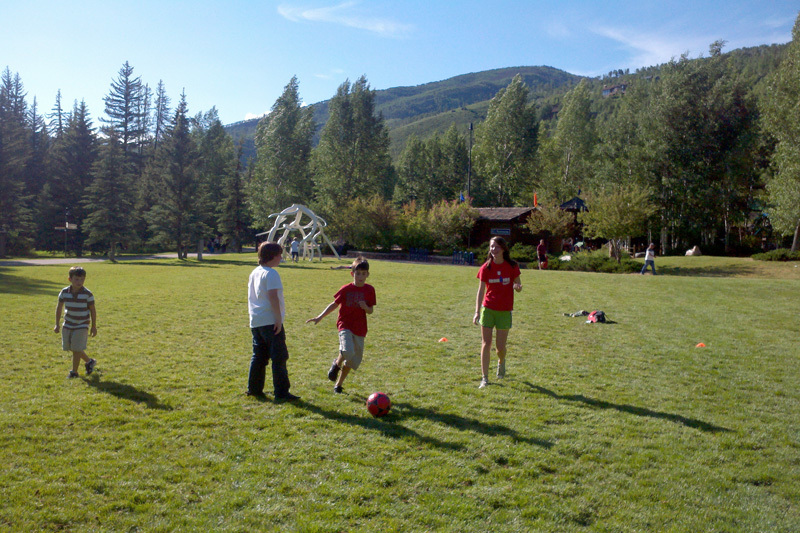 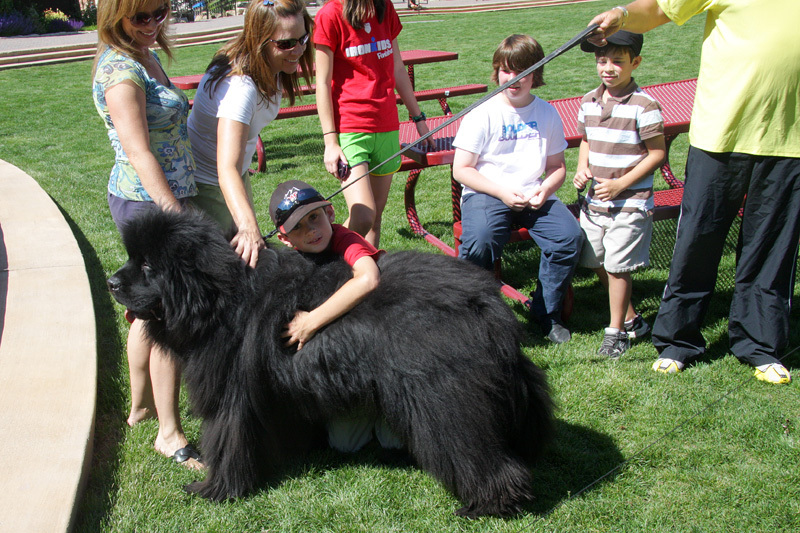 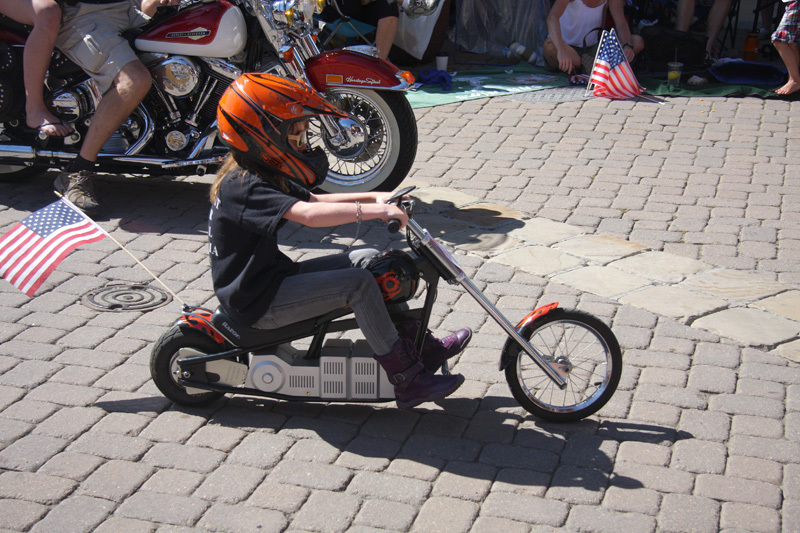 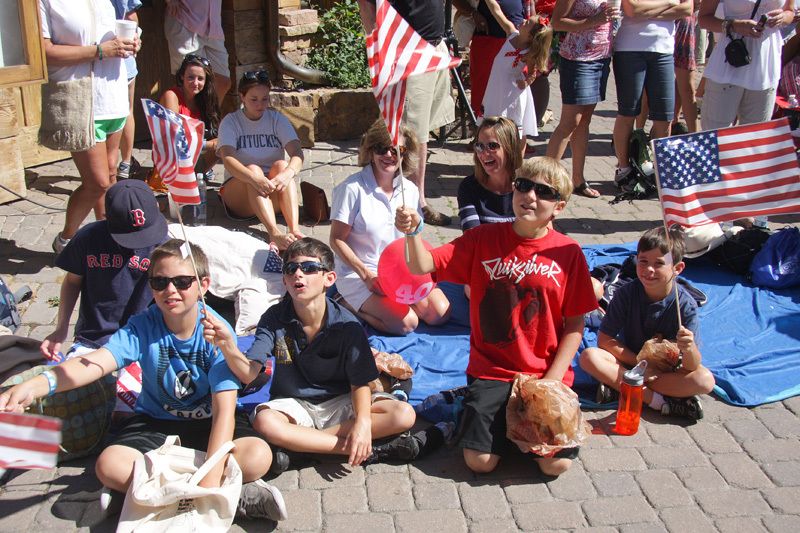 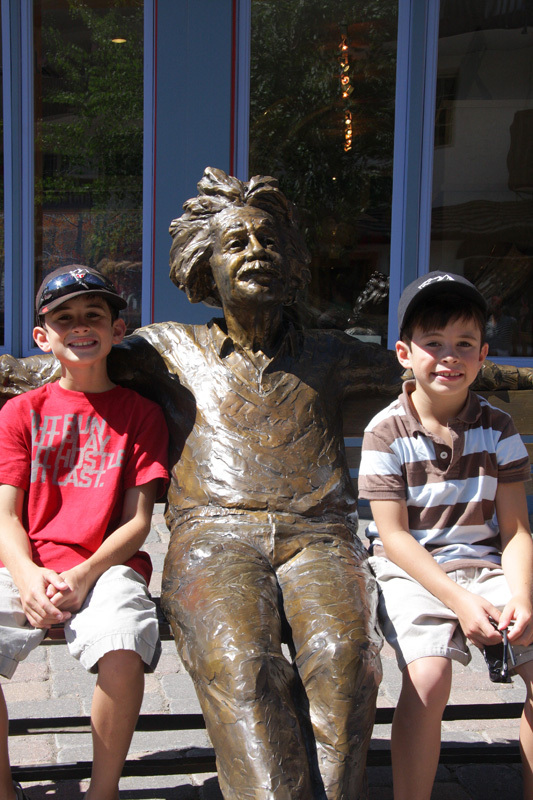 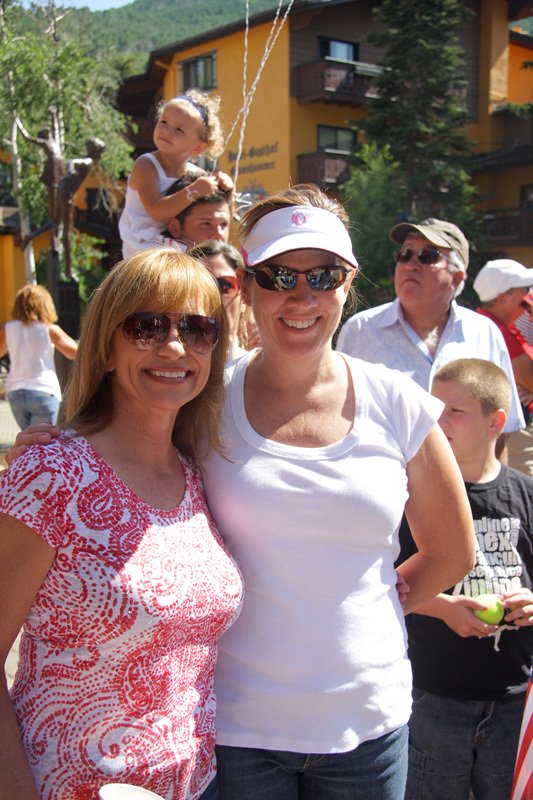 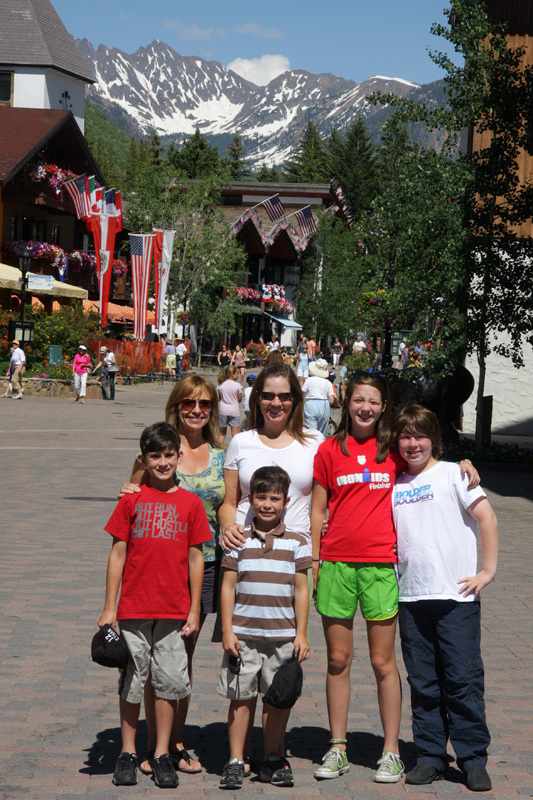 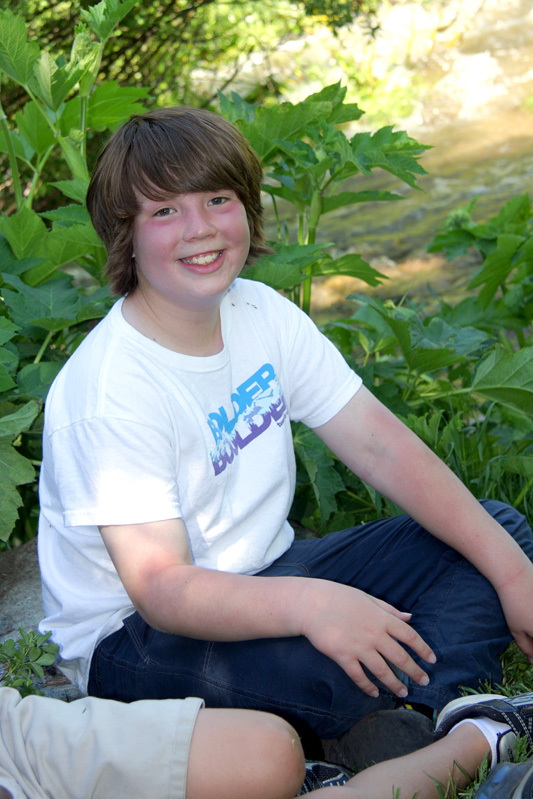 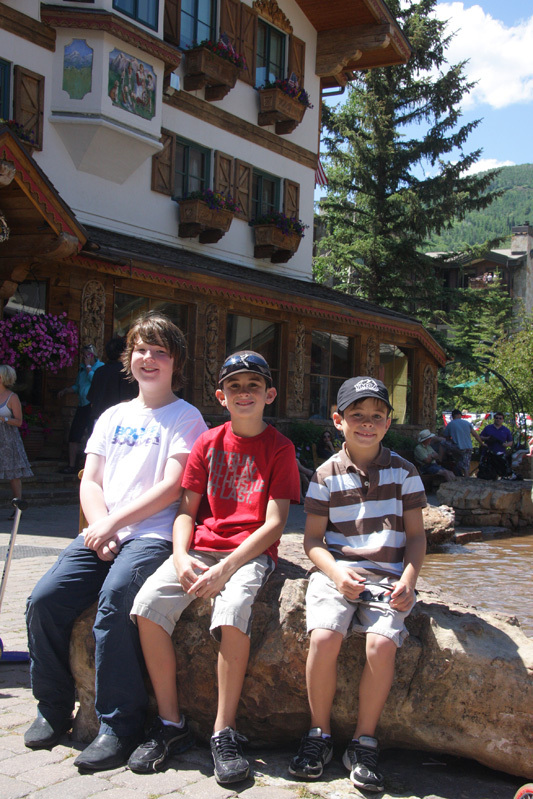 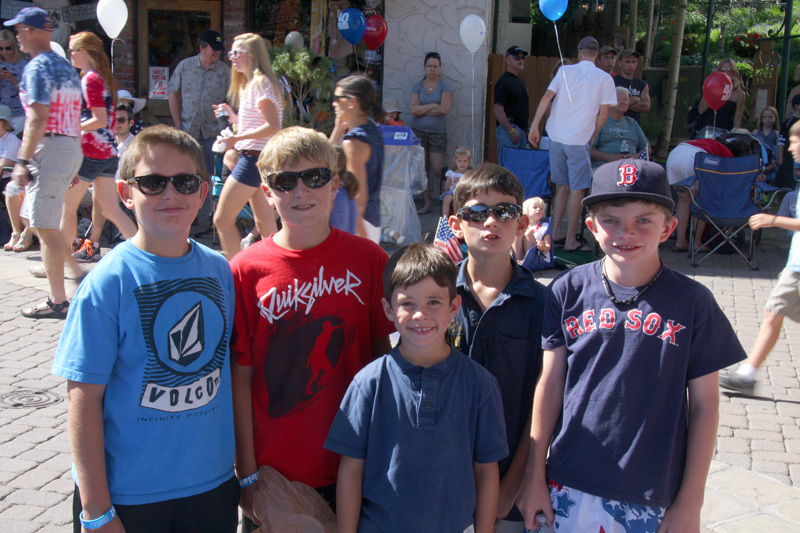 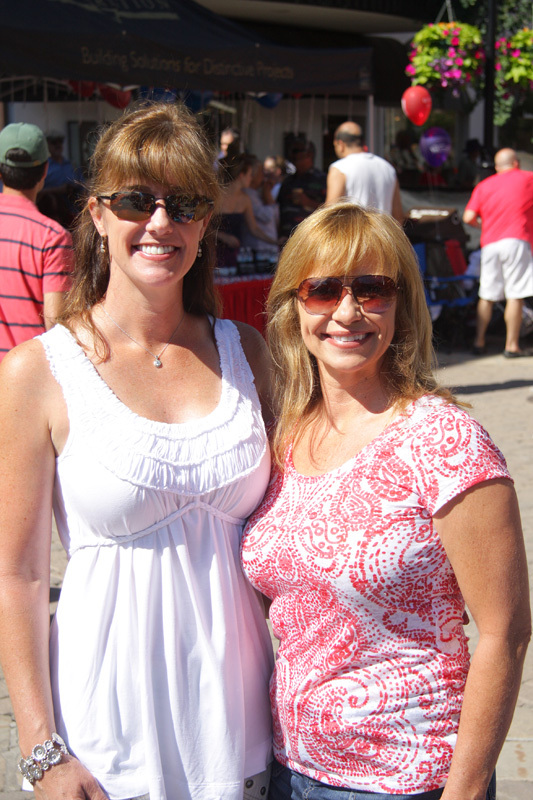 Additionally we met up with the Brannans and the Cousins for the Vail America Days festivities. 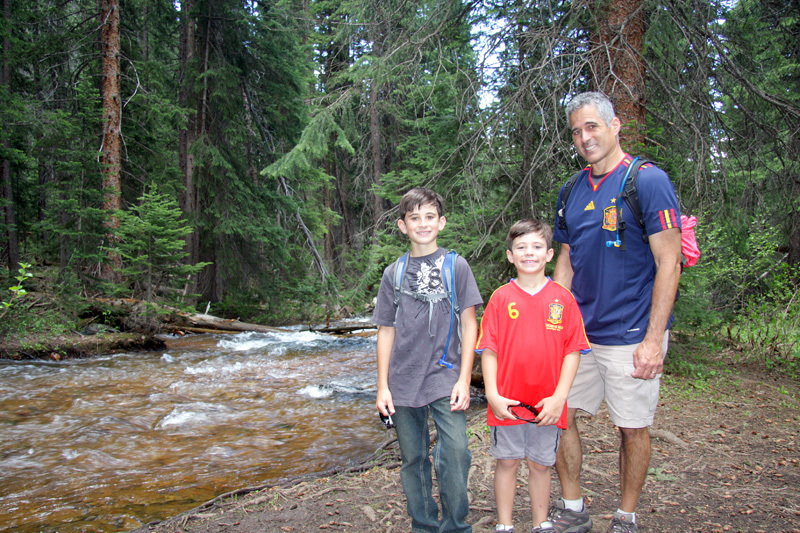 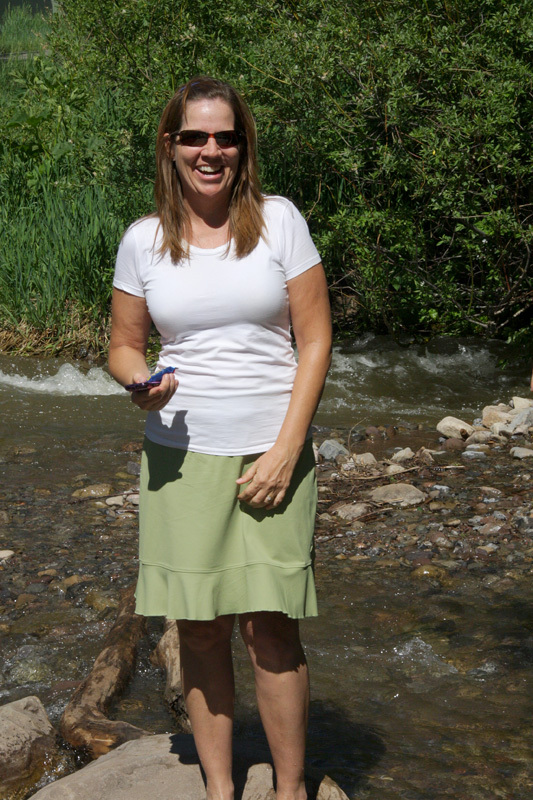 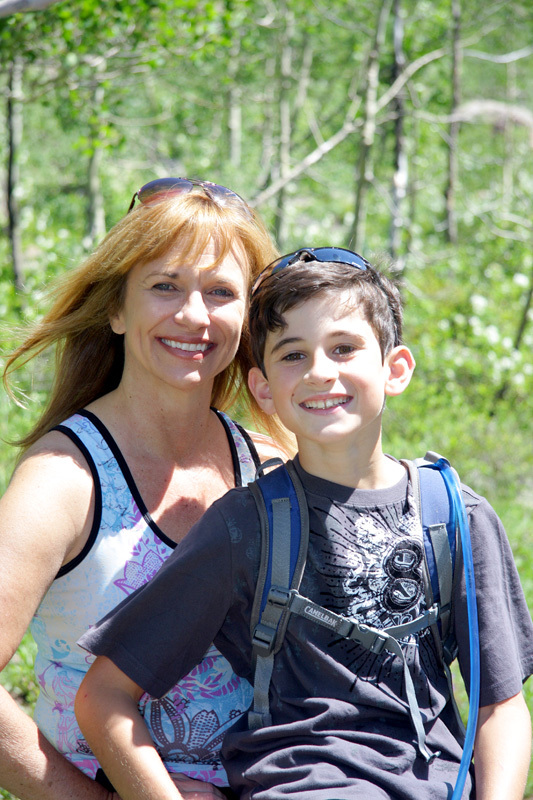 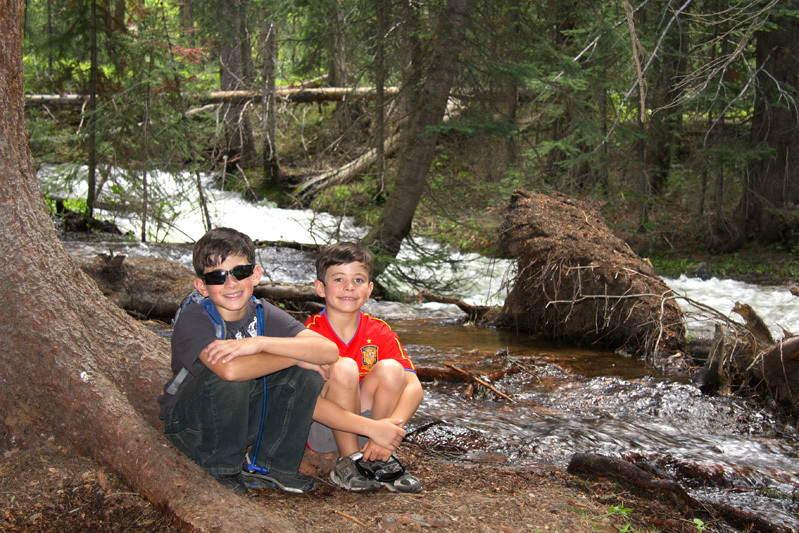 On Sunday we went for a morning hike on the Bighorn Creek trail. 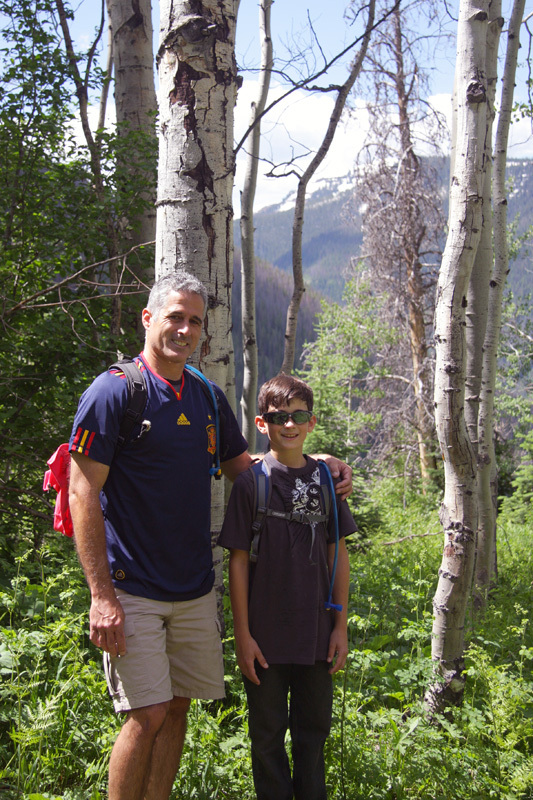 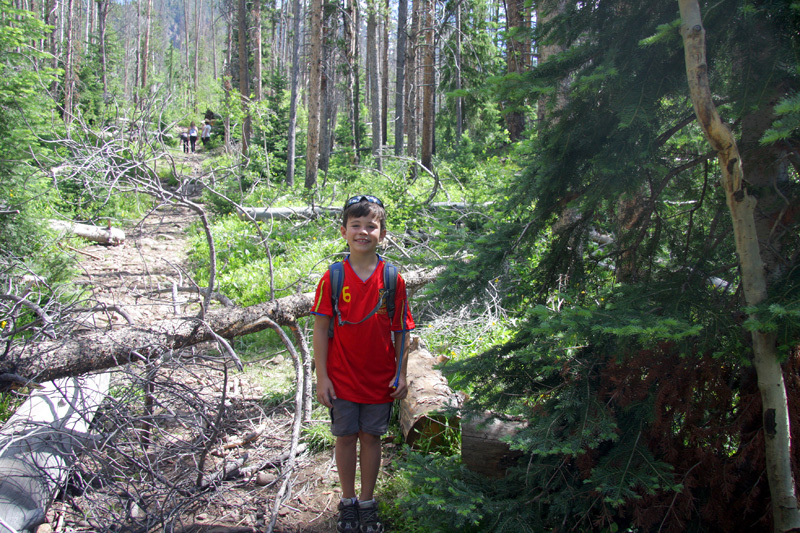 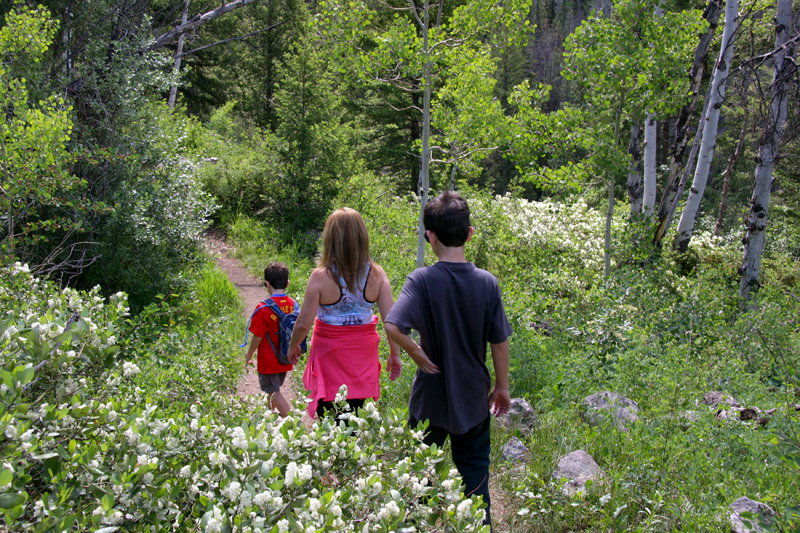 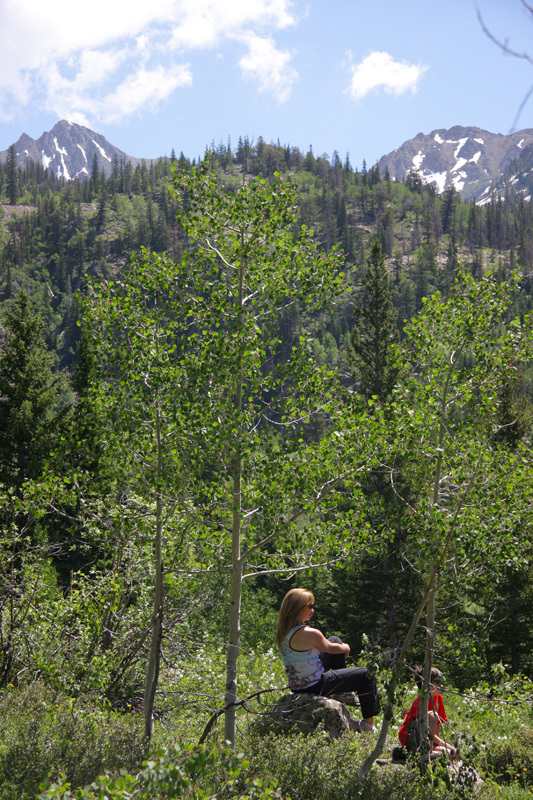 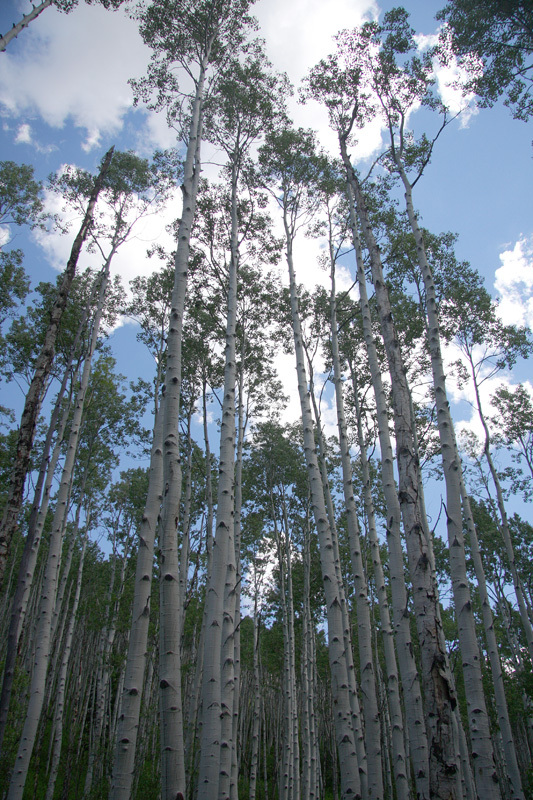 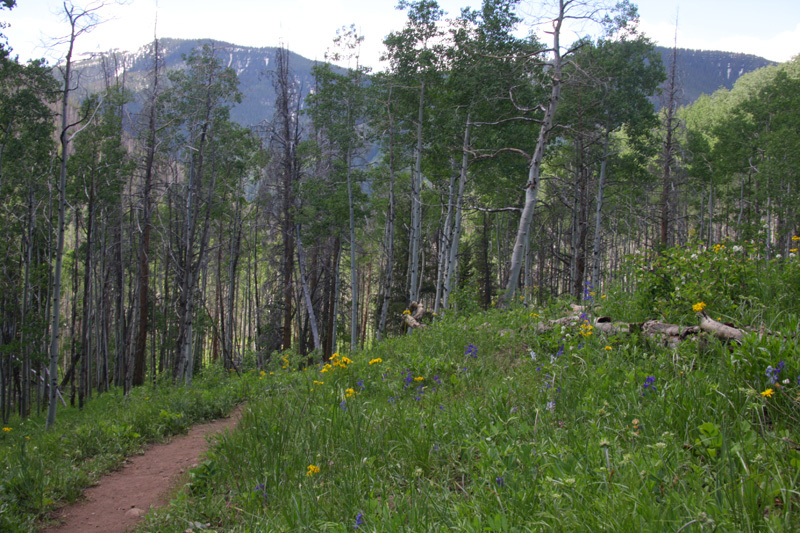 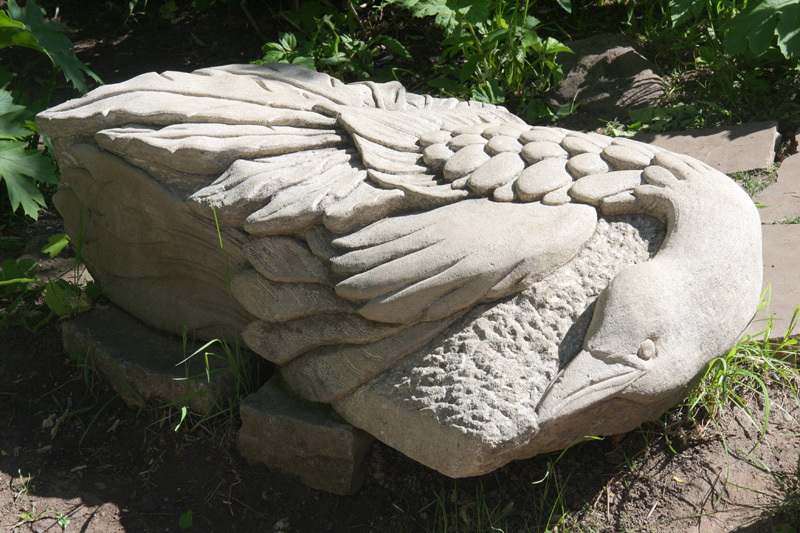 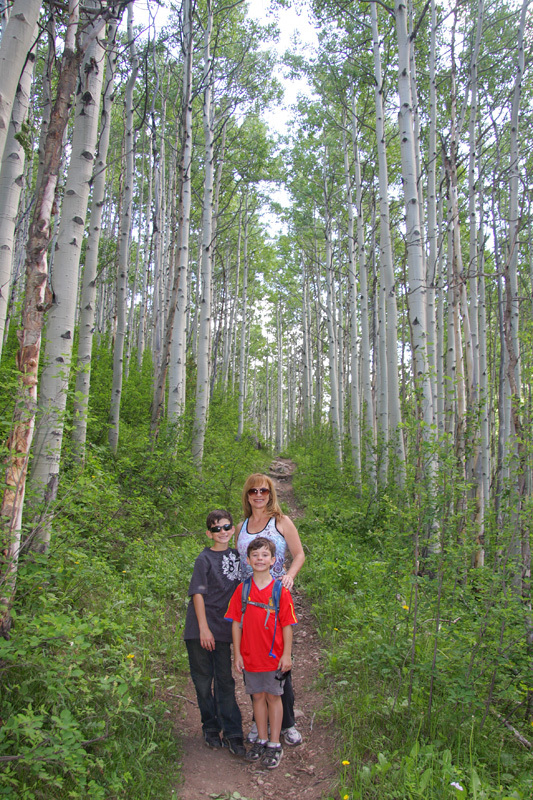 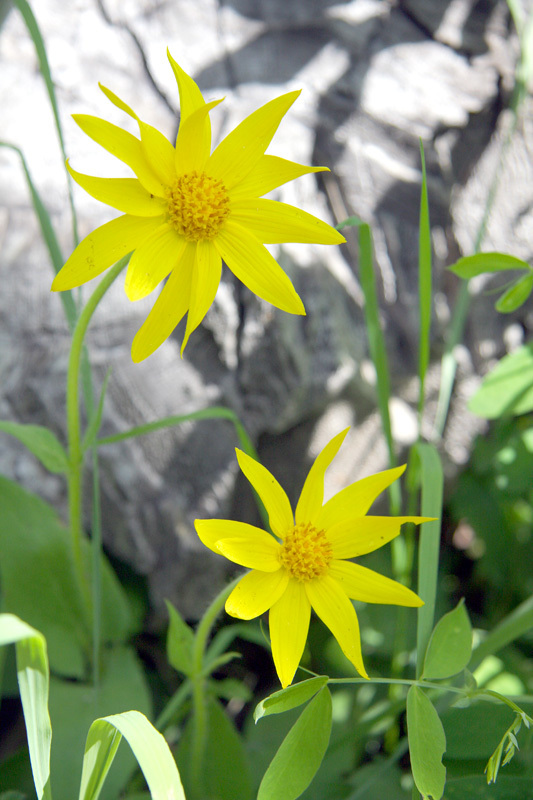 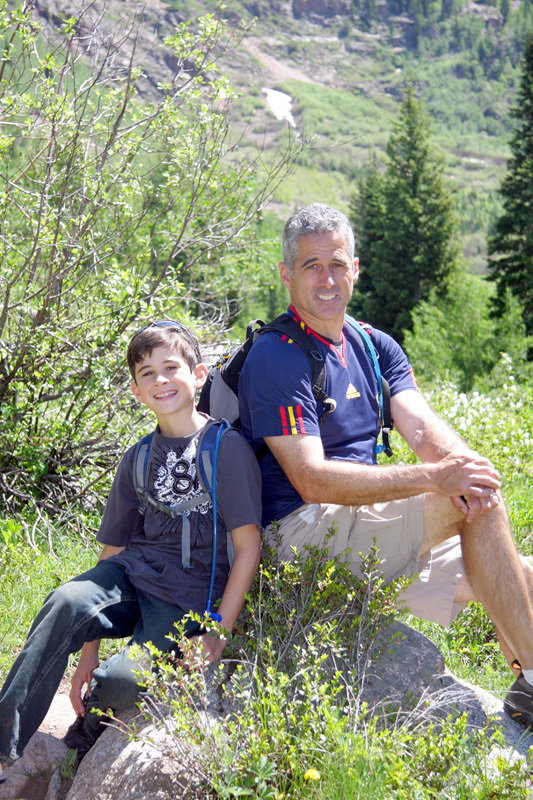 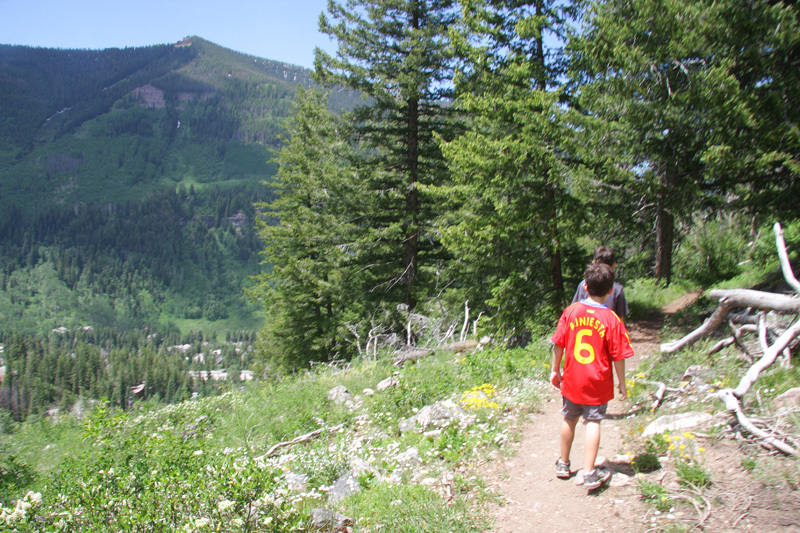 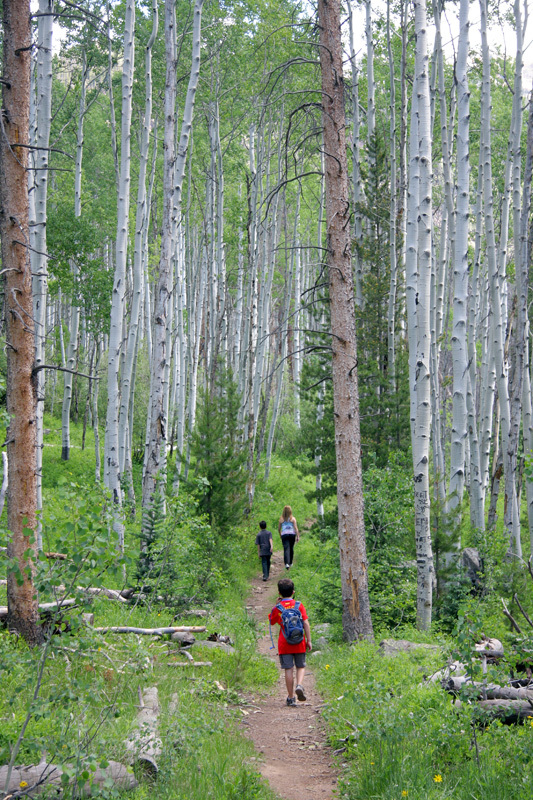 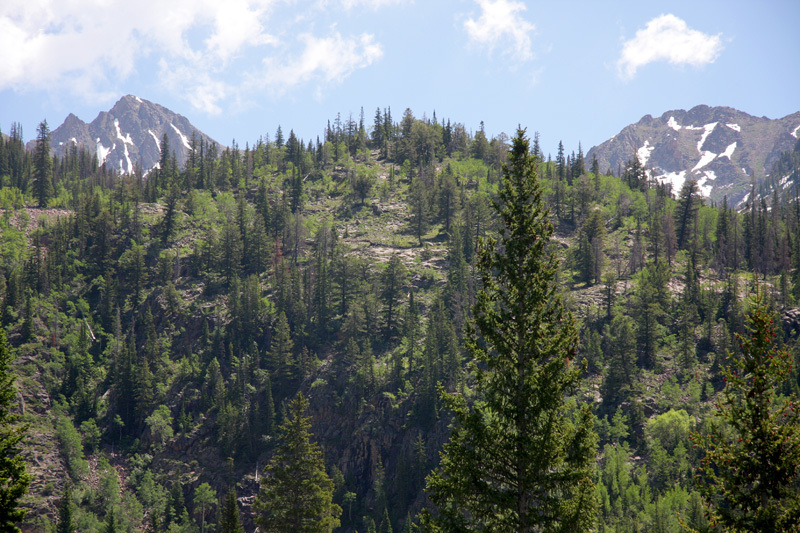 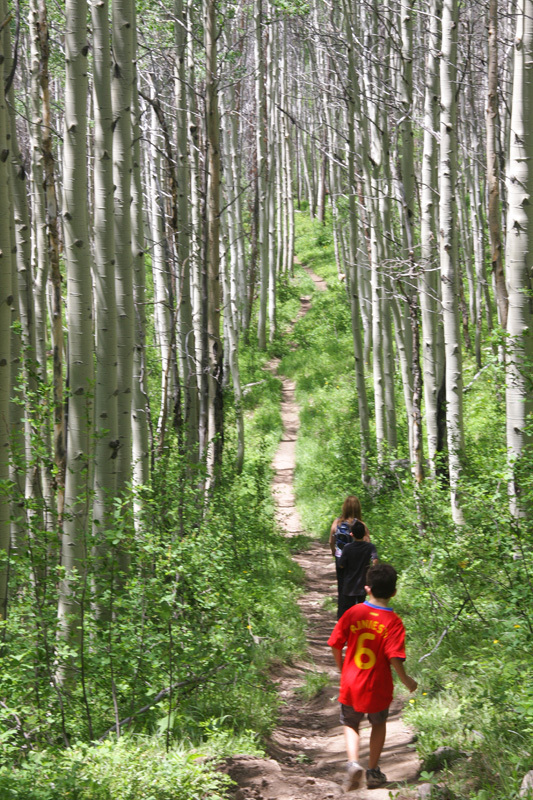 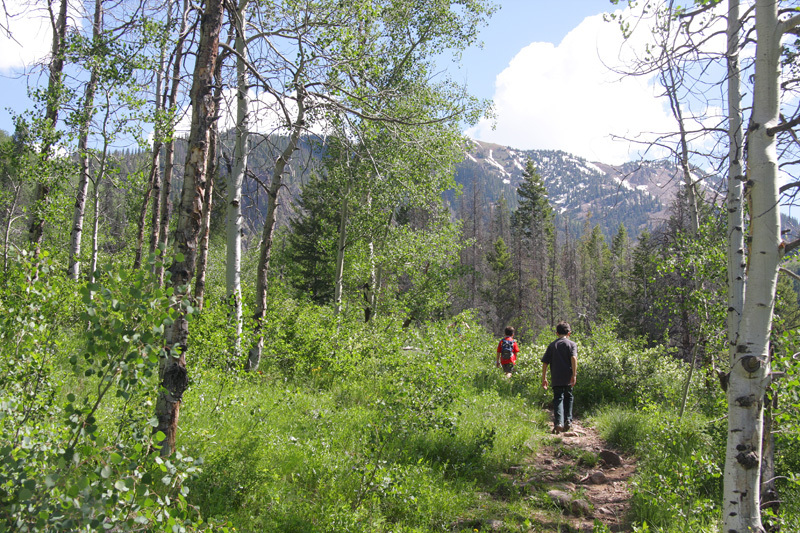 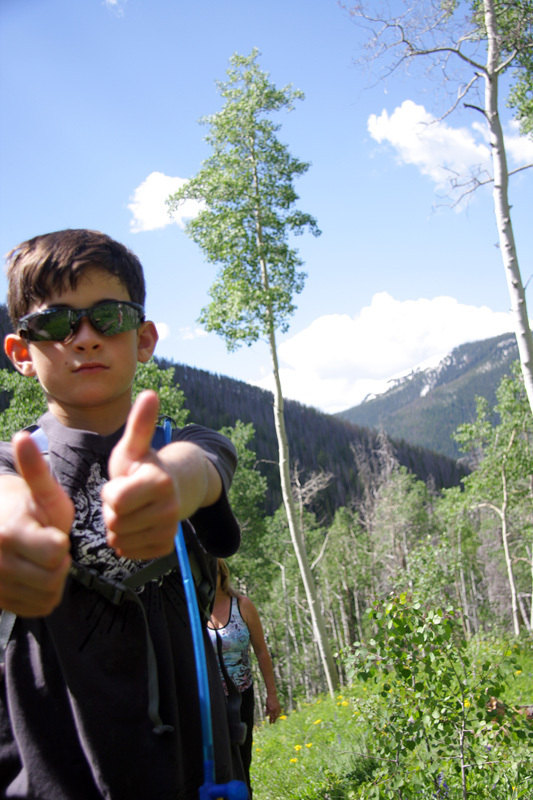 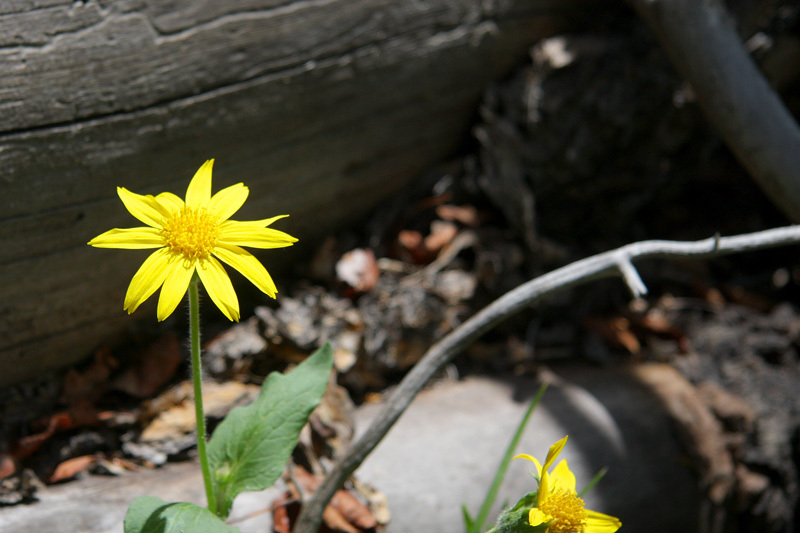 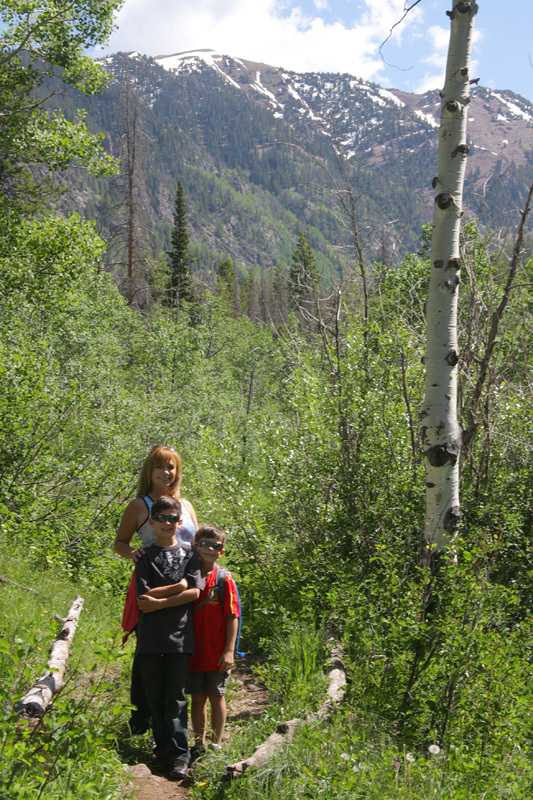 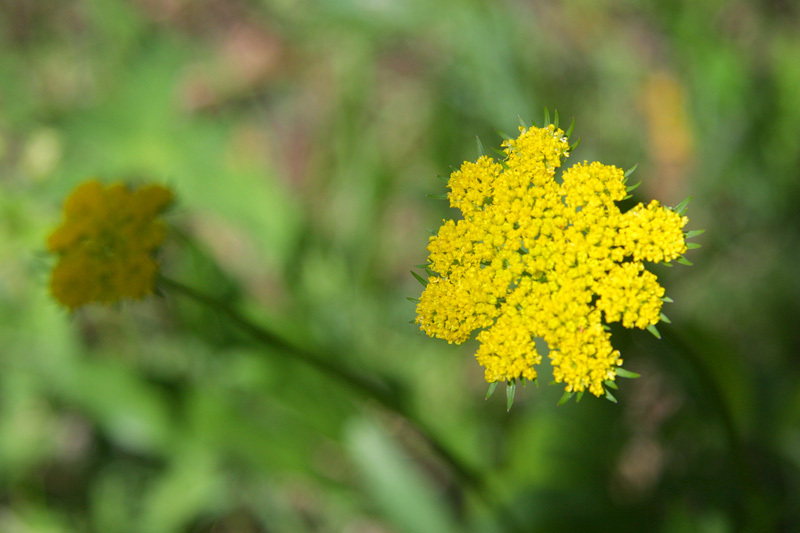 The trail starts with a steep ascent and then meanders through large Aspen grove, pine stands and wildflower patches. 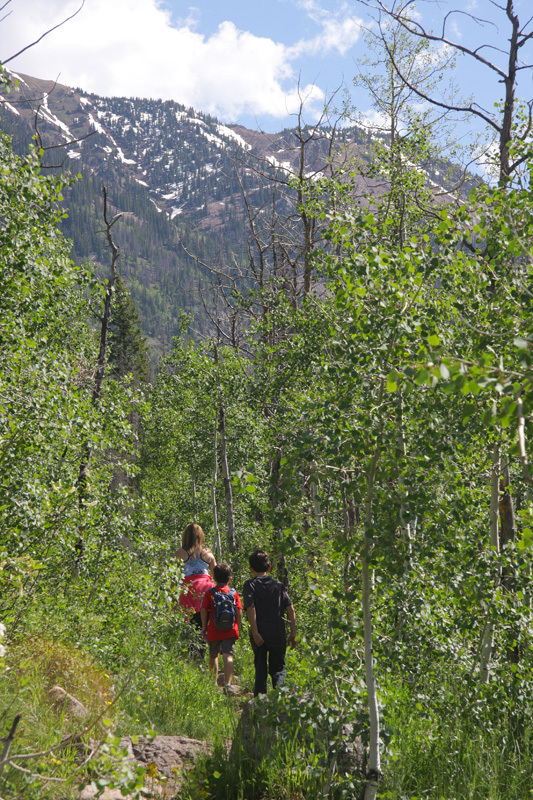 Eventually we came upon the creek and followed it a bit before the trail opened up to a high valley with views of the Gore range. 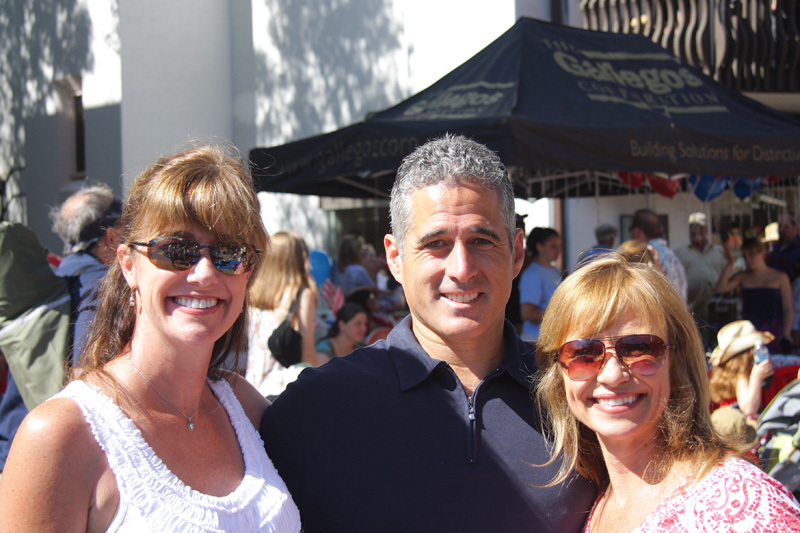 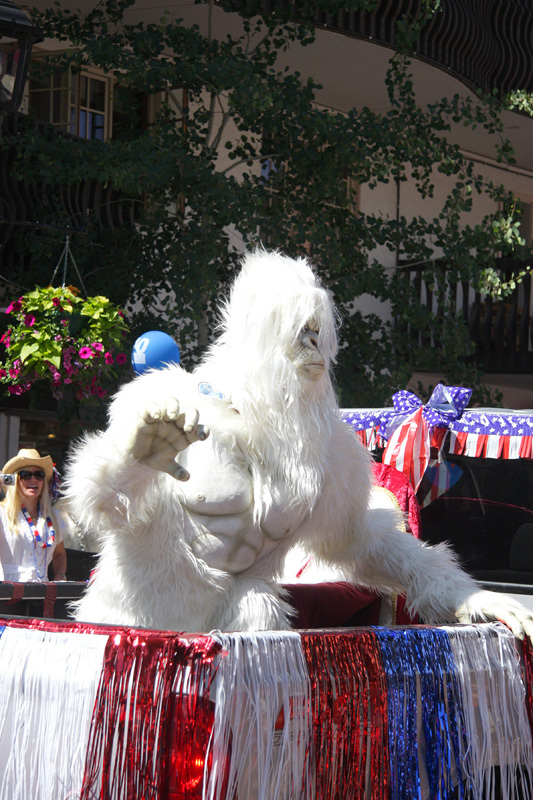 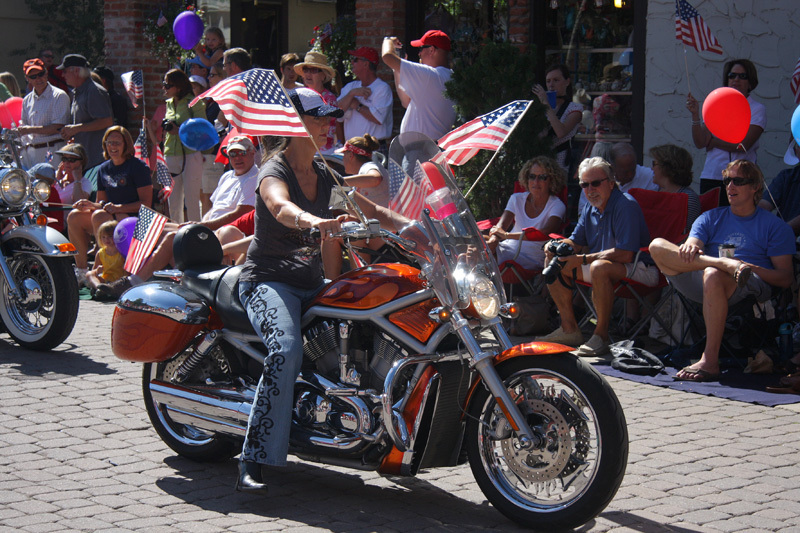 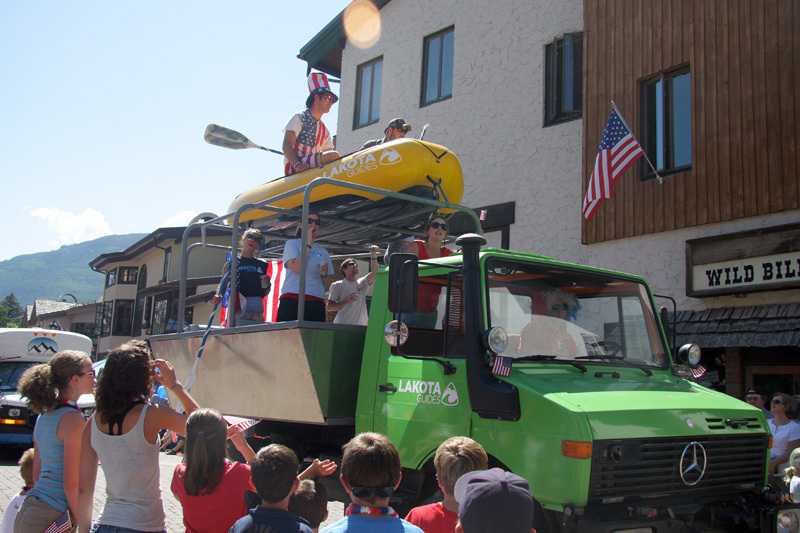 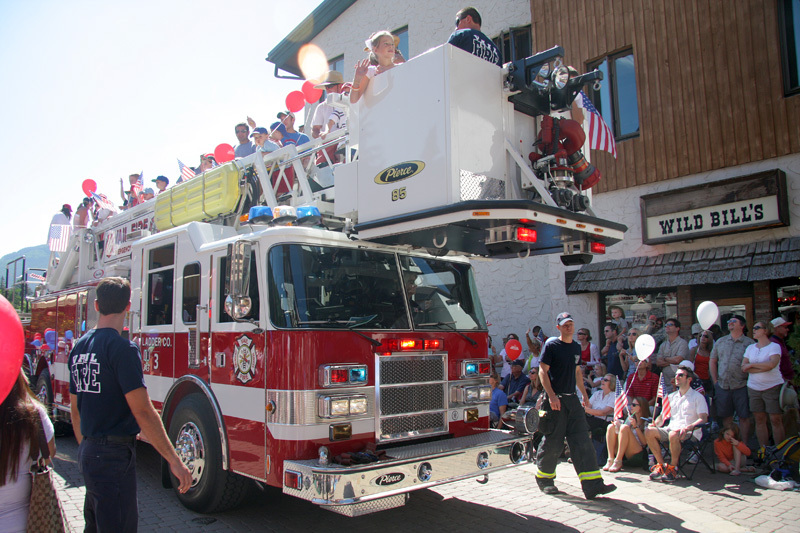 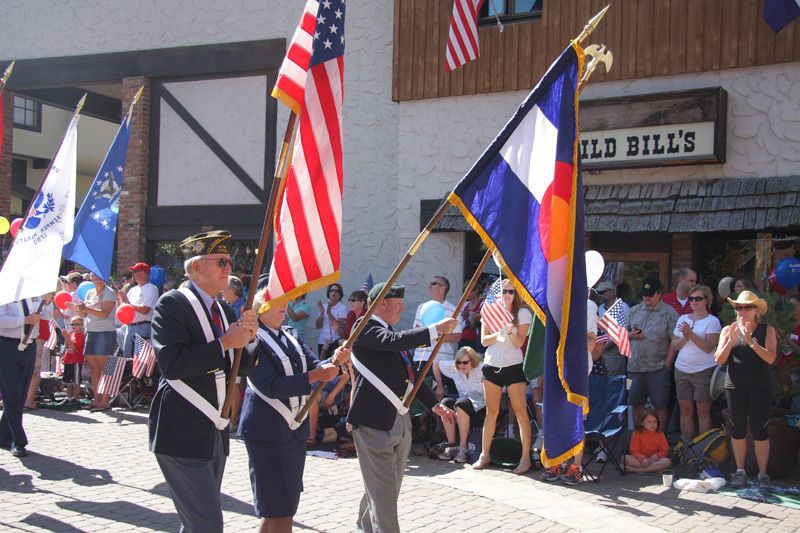 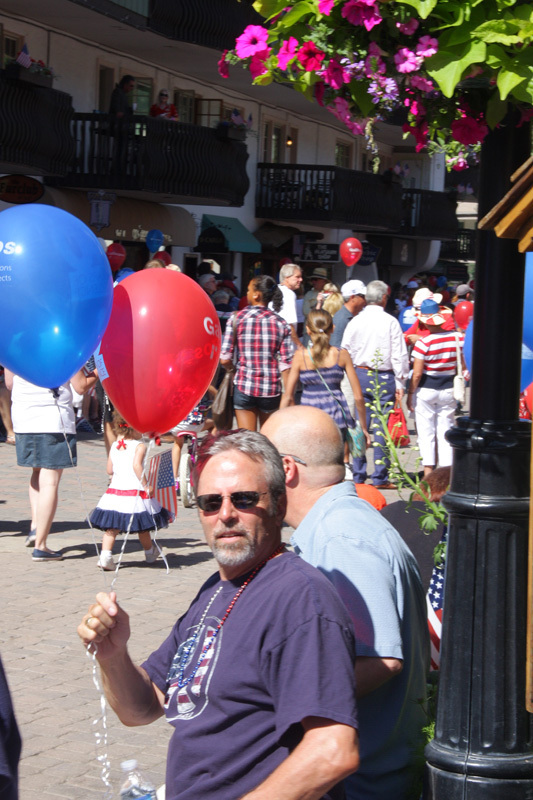 On Monday, July 4th, we took in the parade followed by lunch at the Red Lion with the entire gang. 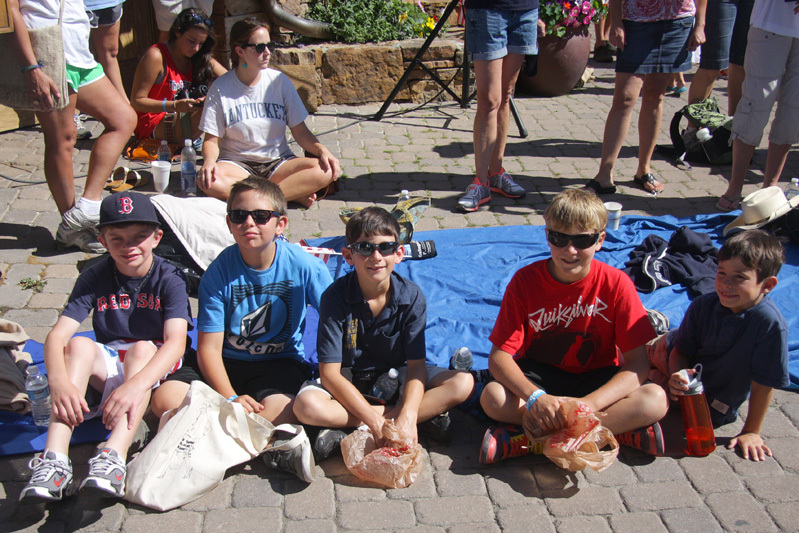 Then in the afternoon the boys played for hours in Ford Park while the adults enjoyed the Dallas Symphony Orchestra at the Ford Ampitheater.